Have you ever wondered how “unemployment” can be so low (4.3% nationally), but yet there seem to be so many complaints from people not being able to find jobs and from CEOs complaining that their companies can’t find enough candidates? The answer is elusive, but analyzing the data and trends in HR and employment provides us with some important insight that HR can harness. For starters, there are two fundamental problems in the employment numbers that the federal government touts these days. First, it’s not just that CEOs can’t find candidates for job openings, it’s that they can’t find qualified candidates. This creates the need to either outsource jobs to a country where qualified candidates are ready to work, hire better-qualified foreign workers through visa programs or invest in robotics technology to get rid of the underqualified humans problem once and for all. Secondly, the federal government projects that five of the 10 fastest growing jobs pay $25,000 or less per year. 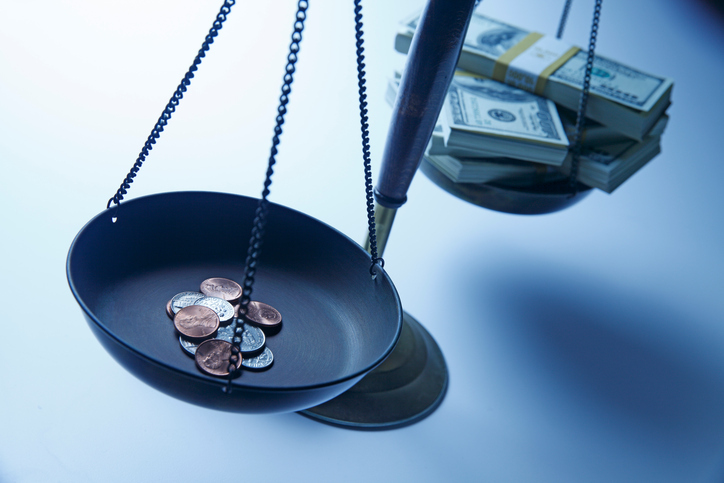 Almost two-thirds of all the available jobs pay less than $20/hour (full-time salary of just over $40,000 per year), and about half of the jobs out there pay less than $15/hour, the familiar battle cry of minimum wage hike proponents. If you’re in the middle class, wages have been stagnant since 1999, when median household income peaked. For the top five percent of wage earners, however, wages have increased by about 22% from 2000 to 2017. At the forefront of this tug o’ war over jobs and wages is the manufacturing industry, to which President Trump has pledged to restore jobs in order to boost the middle class. This would be a good thing, as those jobs typically pay north of $20/hour. However, there is more to this than meets the eye as well. Despite middle-class wages, the manufacturing industry is suffering from rising “voluntary turnover” (people quitting). In 2017, the resignation rate was 9.8% in the industry versus just 7.9% in 2014. This is due to a combination of stagnant wages, poor working conditions and yes, more job openings, which convince employees that the grass might be greener in the other factory. To combat the rise of resignations, manufacturing employers have taken to building their “total rewards” offerings to attract and ultimately retain top quality employees, but in this author’s opinion, that is not going to get it done. Why, you ask? It’s because those jobs being created require advanced knowledge of technology. That’s why 80% of millennials surveyed at the 2017 World Economics Forum said technology actually creates more jobs than it destroys. Ask Baby Boomers that same question, and you might get a drastically different answer. Therein lies the rub. If you’re not tech savvy, you’re bound to view technology as a threat more so than an opportunity. But we can change that misconception. The solution, as usual, is education and on-the-job training. Without either of these, older workers will suffer the burdens of the technological revolution, while younger workers benefit from it. Without better education and training, companies will continue to complain about underqualified applicants, pushing more of them to outsource, solve it with a visa or lean toward robotics. The jobs of the future will not cater to the present qualifications of job candidates. In fact, it’s the opposite. Candidates and existing employees must evolve so that they keep pace with the jobs companies want to fill. A District of Columbia Circuit Court dealt a potentially harsh blow to the EEOC’s regulations on wellness programs, ordering the EEOC to reconsider its guidance because employers are using them in a way to make wellness programs something less than “voluntary.” In the battle of the acronyms, the AARP sued the EEOC arguing that its wellness program regulations actually result in wellness programs feeling mandatory to workers, as they can achieve up to a 30% reduction in the cost of coverage by participating. Such a huge carrot actually forces more people to participate in the program who might otherwise decline in order to protect their status as disabled. Thus, the regulations potentially undermine both the Americans with Disabilities Act (ADA) and the Genetic Information Nondiscrimination Act (GINA), by “forcing” employees to give up their protected information in order to get that 30% reduction in healthcare costs. Speaking of the ADA, is your office disability-friendly? It’s not just about having a disability accommodation policy, though that is a great start. Instead, a truly accommodating workplace means open communication and trust between managers and their direct reports and more importantly, an adaptable working environment, technology and equipment that disabled employees can benefit from. It also means well-trained managers who understand that not all disabilities are obvious and who know what not to ask on job interviews. Ultimately, having a disability-friendly workplace means having a flexible attitude about working conditions that focuses on results (the ends) as opposed to the means used to achieve them. A federal district court in Connecticut is the first federal court in the country to rule that the federal ban on marijuana does not preempt state law that protects employees and job applicants from employment discrimination based on their use of medical marijuana. This is now the third court in the country to side with employees (state courts in Rhode Island and Massachusetts have done so as well), and the trend toward protecting medical marijuana users in the workplace is in full swing in New England. 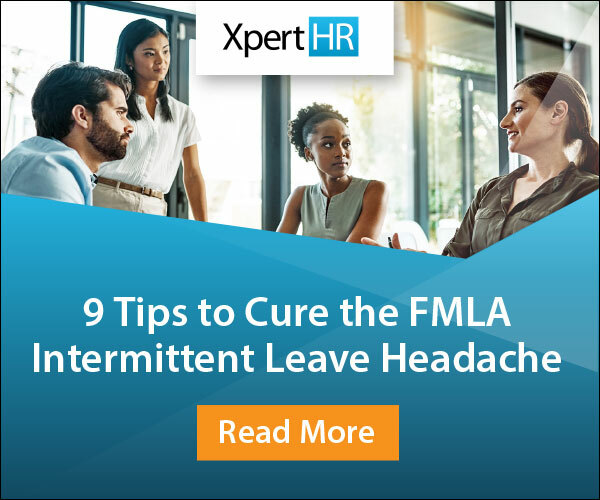 What can you learn from a company’s FMLA administration mistake? About 747,320 lessons. That’s what it cost an employer (in dollars) when they failed to properly fill out the Notice of Eligibility and Rights & Responsibilities form that it provided to an employee. The section they omitted would’ve instructed the employee about the deadline by which she had to furnish status reports and her intent to return to work. By omitting that section (and terminating the employee when she failed to return on time), the company cost itself three quarters of a million dollars. Don’t be that company! You’ve no doubt heard a lot about how to property build employee engagement, but technology is not the solution. Actually, engagement drives innovation, not the other way around. Engagement has to occur organically and similar to our disability-friendly workplace, it derives from trust, mutual respect and a true opportunity to succeed and build a career. You know another great way to foster engagement? Truly allow your employees to unwind when they take time off. Without a proper recharge, battery life will suffer over time. Not surprisingly, it turns out that employees have mixed expectations as to whether they really need to work while on vacation, potentially undermining the rejuvenating effect that PTO is intended to have. If you’ve ever returned from vacation and said “I need a vacation,” you know that feeling. Ultimately, PTO is a benefit, not just a perk. In order to truly (ahem) benefit from it, your employees should be fully unplugged and assured that they will not suffer any consequences for it. In the last edition of HR Intel, we asked you how “Waterfalls” by TLC is related to HR. This song is about the dangers of chasing dreams with your head in the clouds and without being moored to reality. Going after the big win or a life’s goal is an admirable thing, but you need to have a practical plan and fallback options in case things don’t work out as planned. Better yet, dreams are achieved through years of meticulous planning and hard work, not simply by taking a big chance at a big moment. Sure, there are some lucky people out there, but as Branch Rickey (former owner of the Brooklyn Dodgers) famously said, “luck is the residue of design.” Set out a plan to reach your goal and hit the milestones along the way. You’ll be more likely to actually accomplish it in the end. We leave you with “Vincent,” by Don McLean.